Bridge | disc & pot ptfe bearing details | DSL co., LTD. Structure materials installed in joints of lower and upper structure of the bridge. 1. 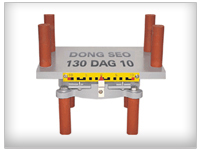 Supporting the load from the upper structure, it transfers the load to the lower structure safely, and smoothly. 2. 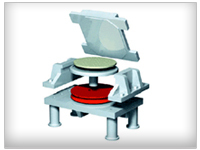 Horizontal movement function is installed corresponding the horizontal conditions such as load, temperature change. 2.Lower height & Stabilized Structure. 3.Prominent durability & Economic cost . It's been manufactured based on KSF 4424.